To begin, Endo Sushi is an obscure outlet and it can be pretty frustrating trying to hunt that space down. On our first trip there, we walked for a good 45 minutes before finally finding it! But read on, and we will give you directions on how to locate the eatery. Ok, now. What’s so fabulous about Endo Sushi? Everything. We have no complaints at all, and if there was the tiniest bit to nitpick on, it would be the wait. Small and cosy, the space sits no more than twenty at a time. But good things come to those who have the patience and willpower to wait. The menu is simple and direct. 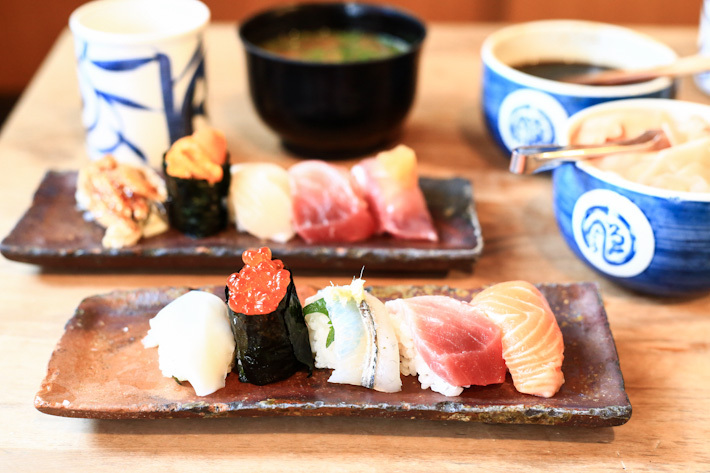 Four combinations of 5-pc sushi (¥1,050) each for you to take your pick, but you can let the chef know what you prefer and dislike, and he’d tweak the variety accordingly for you. We will not dictate which combination is better. Instead, we will tell you to just place your faith in the toro/ otoro and order a plate of only that. The fatty tuna so melty, we can’t even… with a faint note of the salty ocean, you will know you have tasted the freshest and the best the moment you sink your teeth in to the thick slab of creamy, fatty tuna belly; all you need is to dap a light layer of shoyu (a communal serving on every table). So sweet, so fresh, and that wondrous feeling of savouring is ephemeral but is one that we cannot forget. Well, if you do not eat raw fish, we have another reason to entice you to make a visit to Endo Sushi. The anago sushi is our second favourite, and yes, you can do an entire plate of anago sushi only too. As mentioned, the usual plate of 5-pc sushi is priced at ¥1,050. You can choose from the fixed sets, or do an omakase style whereby the chef will decide what goes on your plate based on the day’s catches – but a piece of toro sushi is guaranteed. The prices of the customized plates vary and are dependent on what you order, but a plate of 5 otoro sushi will only set you back by approximately S$30. Where on earth do you get a better deal?! When you are at Osaka Central Fish Market, look out for the clock tower, where a huge car park is. Keep your eyes peeled for a short stretch of booth-like shops, with long printed curtains and lanterns hanging. Endo Sushi will be the outlet on the right. Go on, step in, and have a taste of heaven. 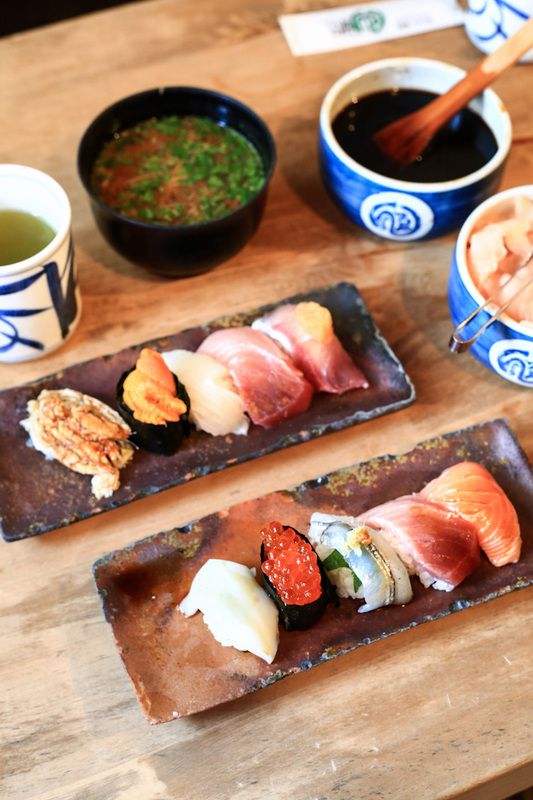 For more recommendations, read our curated food and travel guides on Osaka.